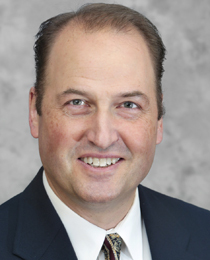 Thomas Miner, MD, chief of surgical oncology at Rhode Island Hospital, is an expert in gastric cancer surgery and has performed the HIPEC technique more than a hundred times. He was recently featured in a television news report discussing the use of HIPEC on a patient with ovarian cancer. The Lifespan Cancer Institute (LCI) offers HIPEC to treat primary and metastatic abdominal cancers. Hyperthermic intraperitoneal chemotherapy (HIPEC) is an innovative surgical technique that is more effective than a traditional approach to treat women with ovarian cancer. A recent study published in the New England Journal of Medicine demonstrates that using HIPEC is superior to using surgery combined with traditional chemotherapy before or after surgery and can significantly extend survival for patients diagnosed with advanced ovarian cancer. For more information or to refer a patient, please call 1-844-222-2881. 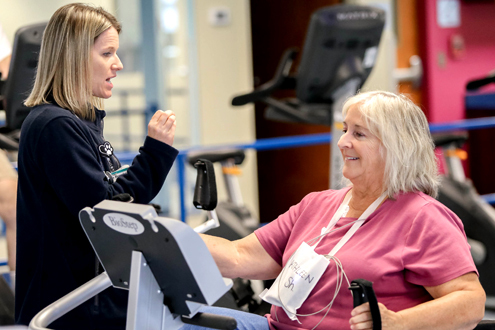 Lifespan Rehabilitation Services offers therapies specifically for patients in cancer treatment, with the goal of restoring their independence, quality of life, and the highest level of functioning possible. Oncology rehab addresses the problems that cancer patients often experience as a result of the disease or its treatment, such as fatigue and weakness, stiffness, loss of balance, peripheral neuropathy, and difficulty with daily activities, including swallowing. 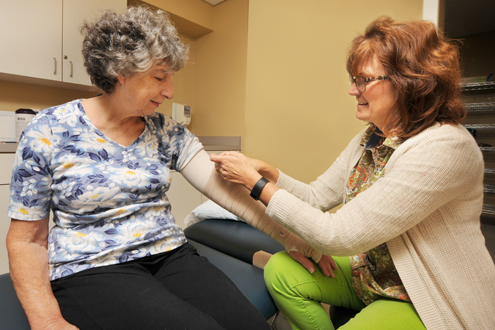 Patients are evaluated, and individualized treatment plans are developed specifically for each. The Lifespan Cardiovascular Institute (LCVI) at Rhode Island, The Miriam and Newport hospitals provides the highest level of diagnostic, interventional, surgical and rehabilitative cardiac care 24 hours a day, seven days a week. The Lifespan Cardiovascular Institute (LCVI) is one of only two facilities in the region to offer the WATCHMAN left atrial appendage occlusion device for the prevention of thromboembolic stroke. The WATCHMAN is a clinically proven alternative to long-term anticoagulation medication and is the only FDA-approved device for stroke reduction. Since LCVI began its WATCHMAN program in 2017, it has treated 70 patients; 69 were able to discontinue anticoagulation medication at 45 days, and one within six months. Other state-of-the-art therapies offered at LCVI’s arrhythmia services include HIS bundle pacing, leadless pacemaker implantation, subcutaneous ICD implantation, and advanced therapies for ablation of atrial fibrillation, including convergent epicardial-endocardium ablation and spatial-temporal-guided ablation. LCVI is the only center in the region performing spatial-temporal-guided ablation for patients with persistent atrial fibrillation. To refer a patient, please call 401-444-8712. Almost 90 percent of program participants still follow it a year later. In contrast, only 30 to 50 percent of patients prescribed cholesterol-lowering drugs still take them after six months. Classes meet twice a week for nine weeks at LCVI in East Greenwich. To refer a patient, please call 401-793-5810. The Bradley Learning Exchange, a department of Bradley Hospital, provides a variety of opportunities to enhance the skills and knowledge of individuals who work in the diverse fields of human services. The Bradley Learning Exchange now offers training on recognizing and preventing suicide in individuals of all ages. The next training, titled Suicide: Screening, Prevention, and Response, will be held on Friday, December 7, from 8 to 11 a.m. According to the Centers for Disease Control, suicide is a leading cause of death in our country—resulting in the death of nearly 45,000 Americans age 10 or older in 2016. The first step in effective suicide prevention is to identify individuals who need help. Participants will learn about risk factors, warning signs, myths, facts, and local resources. Trainings are held at Bradley Learning Exchange, One Catamore Boulevard, East Providence. For more information, contact Scott Sylvester at 401-606-5754 or ssylvester@lifespan.org. For patients with crippling pain and disability due to rheumatoid arthritis or osteoarthritis, total wrist replacement has been highly successful in relieving pain and improving wrist function. Patients usually regain a range of motion of 60 to 70 degrees, a functional arc considered adequate to carry out all activities of daily living. Internationally known hand surgeon Arnold-Peter Weiss, MD, of the Lifespan Orthopedics Institute, is one of only a few surgeons in the region who perform total wrist replacement. He is a professor of orthopaedics at the Alpert Medical School and specializes in hand and wrist reconstruction and wrist joint replacement surgery. Dr. Weiss holds 13 United States patents for widely used medical devices. To refer a patient to Dr. Weiss, please call 401-444-4800. 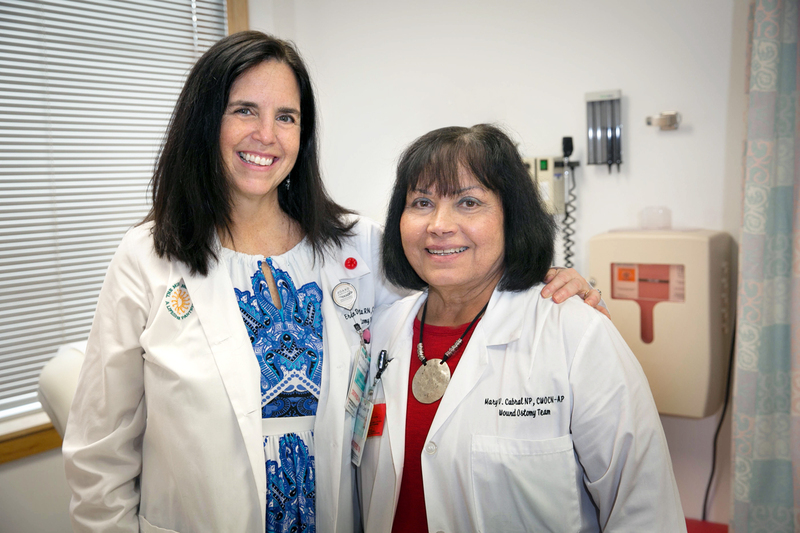 Mary Cabral, CNP, once had an ostomy for many months. Erin DellGrotta, RN, helped her mother with her ostomy and saw how she wouldn’t let it slow down her athletic lifestyle. The Miriam Hospital opened a new Ostomy Center, the only one in the region dedicated exclusively to providing ostomy care. With individualized care, support, and guidance to new or long-time ostomy patients, the level of specialization at the Ostomy Center has no equal in our area. The center is located in the Fain Building and offers counseling and education, and it is committed to assisting patients, families, and caregivers during the pre-surgery and post-surgery periods, as well as whenever a patient’s ostomy or surrounding skin requires attention. To refer a patient, please call 401-793-2930. Emergency departments report increases in patients presenting with concussion over the last decade, and we know the effects of concussion are not always minor. The Lifespan Concussion Care Center treats both pediatric and adult patients who have concussions or post-concussion syndrome. Center staff work as part of a comprehensive team comprising a physiatrist fellowship trained in brain injury, an advanced practice RN trained in pediatric concussion management, and licensed physical, occupational, and speech therapists trained in concussion management. They collaborate with specialists, including neurosurgeons, neurologists, neuropsychologists, school nurses, athletic trainers, and others to provide comprehensive concussion care. To refer a patient, please call 401-606-4150. Interventional radiologists at Newport Hospital now offer a safe, less invasive treatment to help patients suffering from migraine and other types of headache. The sphenopalatine ganglion block procedure lessens the severity and frequency of migraine headaches by providing additional relief as a supplement to medication or Botox treatment. Jason Vachon, MD, and Joseph Farnam, MD, perform the procedure, in which a thin, flexible catheter is placed into each nostril to reach the sphenopalatine ganglion behind the nose. Contrast medium is administered and fluoroscopy is used to guide the catheter into place. Lidocaine solution is then moved through the catheter and allowed to pool over the nerve group to block the pain signals. The effect lasts one to two months, but the procedure can be repeated as often as necessary. Patients are often able to reduce the amount of medication they take and experience less pain. To refer a patient, call 401-845-1350. 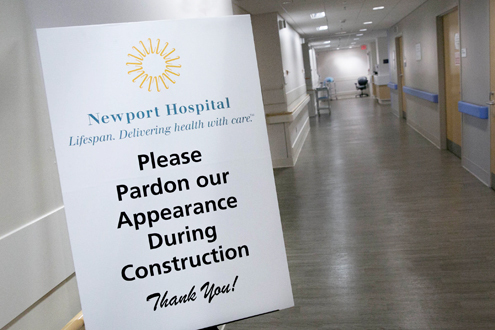 In July, Newport Hospital began construction on the expansion of its emergency department. When completed, the ED will have a total of 29 beds, including a four-bed behavioral health pod to address an increasing volume of behavioral health patients. Built nearly 20 years ago, the current ED sees more than 33,000 patients annually – almost 50 percent more than the number planned for. The new ED will also have two additional triage bays, a clinical results lounge for patients awaiting test results, and other enhancements for patients and staff. Completion of the ED is scheduled for fall of 2019. The Lifespan Center for Weight and Wellness offers treatment for moderately to severely overweight adults at its locations in Providence and East Greenwich. A new teen weight and wellness program —Lighten Up—is designed specifically to help moderately to severely overweight teens (ages 15 to 18) achieve a healthy weight , develop life-long habits of healthful eating and exercise, and prevent or reverse development of obesity-related diseases. The program is offered at 1377 South County Trail, Unit 1, in East Greenwich by providers who have been trusted for more than 30 years to help patients achieve long-term weight loss. Treatment plans address patients’ medical, behavioral, nutritional and exercise needs, tailored to support each patient’s unique goals. To refer a teen, call 401-793-8790. The Masters Program for Weight Maintenance is now open to all the center’s participants who successfully complete their treatment program, as well as anyone who has lost weight and needs support for long-term weight management. Focusing on teaching specialized skills to maintain weight loss, the program also offers unlimited access to the center’s dietitians, exercise physiologists, and health educators. 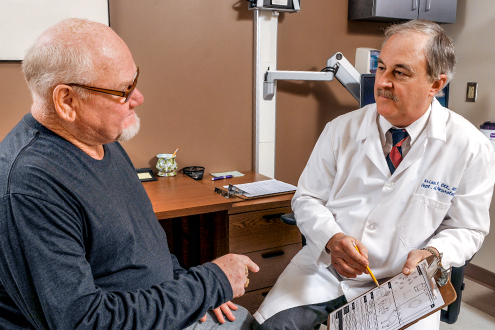 Our center offers patients a multidisciplinary, evidence-based, recovery-oriented program that meets the full spectrum of medical and social needs of individuals who have opioid use disorders. The Lifespan Recovery Center offers medication-assisted treatment to reduce opioid misuse and relapse. The treatment approach also includes other psychosocial support that may include cognitive-behavioral therapy, relapse prevention, motivational interviewing, dialectical behavioral therapy, acceptance and commitment therapy, and mindfulness-based interventions. Therapy helps guide important cognitive, behavioral, and lifestyle changes that enable individuals to maintain their recovery. The Lifespan Recovery Center welcomes patients who are new to treatment, have recently completed inpatient detoxification, or want to transition from a methadone program. For information or to make a referral, please call 401-606-8530. To help facilitate patient referrals, please complete the referral form and fax it to 401-606-8549. Lifespan Rehabilitation Services now offers aquatic physical therapy in Newport, through the Vanderbilt Rehabilitation Center. Patients can work with experienced therapists in a heated, salt-water aquatic therapy pool through a partnership with St. Clare-Newport, a long-term care facility convenient to the hospital campus. To refer a patient, call 401-845-1845. Lifespan Physician Group (LPG) recently opened a new office location for neurosurgery, with a new provider, at 1351 South County Trail in East Greenwich. LPG and the Norman Prince Neurosciences Institute welcomed neurosurgeon Maria Guglielmo, MD this past August. She has been in practice for almost 20 years, offering the full spectrum of neurosurgical care, with focus on spinal surgery and interventional pain procedures. 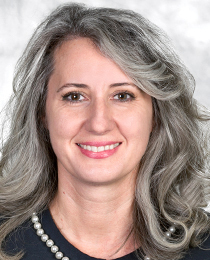 Dr. Guglielmo’s clinical interests include adult spine surgery and neurosurgical treatments for chronic pain, and her research interests include transient forebrain ischemia and traumatic brain injury. Dr. Guglielmo is a member of the American Association of Neurological Surgeons, the Congress of Neurological Surgeons, and the North American Spine Society. Each of the LPG neurosurgeons has specific neurosurgical subspecialty expertise, including surgery for brain tumors and epilepsy, cerebrovascular surgery, skull-base surgery, radiosurgery, complex spine surgery, and pediatric neurosurgery. To refer a patient, call 401-793-9166. 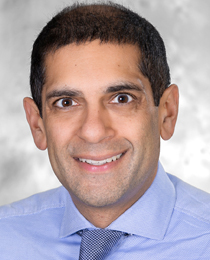 Rishi R. Lulla, MD, MS, joins Lifespan as chief of pediatric hematology/oncology at Hasbro Children’s Hospital. Dr. Lulla comes to Lifespan after years of experience as an attending physician in Chicago hospitals. He was also assistant professor of pediatrics at Northwestern University. Recently, he was honored for outstanding dedication to pediatric neuro-oncology by the Pediatric Brain Tumor Foundation, and he was also named one of Chicago’s top pediatric cancer doctors by Chicago magazine. Dr. Lulla earned his medical degree from Boston University School of Medicine and completed his residency and fellowship at Northwestern University Feinberg School of Medicine in Chicago. 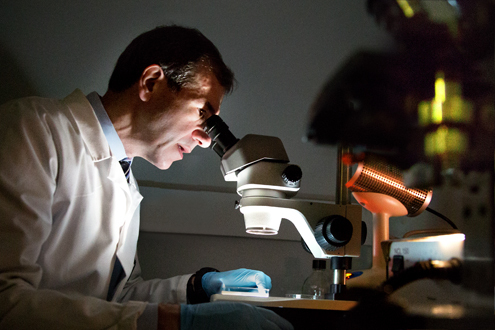 He has contributed to his field through research on pediatric central nervous system tumors. He is a member of the American Society of Pediatric Hematology Oncology, the Children’s Oncology Group, and the Society for Neuro-Oncology. 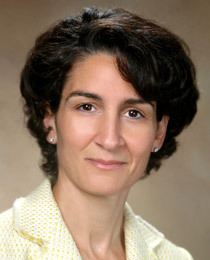 Cardiologist Athena Poppas, MD, FACC, FASE was appointed the new chief of the division of cardiology for Rhode Island Hospital, The Miriam Hospital, and The Warren Alpert Medical School of Brown University. Dr. Poppas is also the director of the Lifespan Cardiovascular Institute and a professor of medicine at the Alpert Medical School. 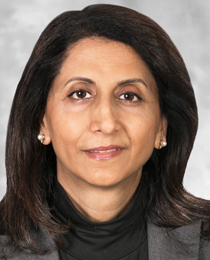 She was recently named vice president of the American College of Cardiology, a position she will assume at the organization’s ceremony in March 2019. Dr. Poppas earned her medical degree from the University of Wisconsin Medical School. She completed her residency in internal medicine at the University of Wisconsin Hospital and Clinics, and a residency in cardiovascular medicine at University of Chicago Hospital. She also practiced and taught at Massachusetts General Hospital and Harvard University prior to joining Lifespan and Brown in 1998. 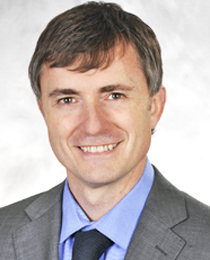 Jeremiah D. Schuur, MD, MHS, FACEP, is the new physician-in-chief for emergency medicine at Lifespan and chair of emergency medicine at The Warren Alpert Medical School of Brown University. He begins on December 1. Dr. Schuur comes to Lifespan from Brigham and Women’s Hospital and Harvard Medical School. He completed his residency in emergency medicine at Rhode Island Hospital and earned his medical degree at New York University School of Medicine in New York City. He completed a fellowship at Yale University, where he also earned his master’s in health sciences. Prior to his post at Brigham and Women’s, Dr. Schurr was an attending physician in the Yale New Haven Hospital emergency department. He is a fellow of the American College of Emergency Physicians and has held numerous committee leadership posts within the organization. 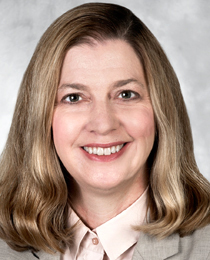 Jody Underwood, MD, was appointed interim chief of psychiatry at Lifespan. She is responsible for the clinical and administrative oversight of psychiatry for Rhode Island Hospital, The Miriam Hospital, and Lifespan Physician Group. At the Lifespan Cancer Institute, Dr. Underwood developed, structured, and led numerous medical programs and served as a mentor and teacher to students, residents, physicians, and other medical professionals. Her areas of expertise include adult therapy and medication management, psychopharmacology, psychosomatic psychiatry, transplant psychiatry and psychiatric oncology. She is a leader on the medical advisory committee of the Rhode Island Free Clinic. Dr. Underwood earned her medical degree from the University of Medicine and Dentistry of New Jersey in Newark, and completed her residency at Rhode Island Hospital and Butler Hospital in Providence. Sami Assad, MD, joined Lifespan Physician Group, Primary Care in Newport. He is a family medicine physician with experience in a range of primary care and hospital settings. Dr. Assad earned his medical degree from St. George’s University School of Medicine in Grenada and completed his family medicine training at the University of South Alabama Medical Center, the USA Family Medicine Center, and the USA Children & Women’s Hospital. He is a member of the American Academy of Family Physicians. 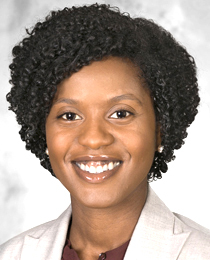 Brittney Boykin, MD, joined Lifespan Physician Group, Psychiatry & Behavioral Health in Providence. She specializes in geriatric psychiatry. 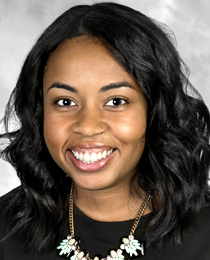 Dr. Boykin earned her medical degree from Rutgers New Jersey Medical School in Newark and completed her residency at University of Maryland, Sheppard Pratt Health System in Baltimore. She also completed a fellowship at Butler Hospital in Providence. Prabjot Channa, MD, joined Lifespan Physician Group, Ophthalmology in Providence. She specializes in cornea and ocular surface disorders as well as chronic eye diseases. 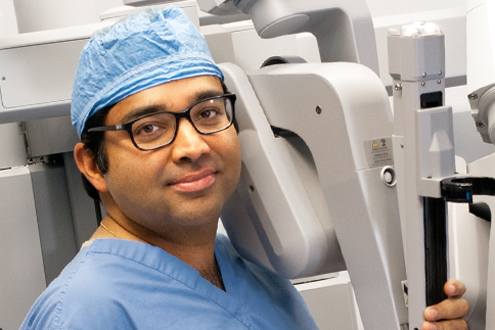 Dr. Channa’s primary interest is in helping patients who have serious eye disorders. Using the most advanced corneal transplantation and keratoprosthesis techniques, she has restored sight in patients who lost their vision to ocular surface disease. Dr. Channa earned her medical degree at Goa Medical College in Panaji, India, and completed her residency at Bronx Lebanon Hospital in New York. She has expertise in ocular surface disorders including dry eye disease; pterygium, keratoconus, allergic, inflammatory and infectious diseases of the ocular surface; complex cataract surgery; corneal transplantation and other surgical techniques. An adult reconstruction orthopedic surgeon, Eric M. Cohen, MD, joined the Total Joint Center at the Lifespan Orthopedics Institute. He specializes in minimally invasive direct anterior total hip replacement, complex total hip replacement after trauma, partial knee replacement, total knee replacement, and periprosthetic fractures and infections. 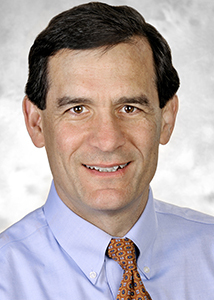 Dr. Cohen’s research interests include orthopedic trauma and modifiable risk factors prior to total joint replacement. He earned his medical degree from the University of Tennessee College of Medicine in Memphis and completed his orthopedic residency at The Warren Alpert Medical School of Brown University/Rhode Island Hospital. He then completed an orthopedic trauma fellowship and adult reconstruction fellowship at the Alpert Medical School. He is a member of the American Academy of Orthopaedic Surgeons, the American Association of Hip and Knee Surgeons, and the Orthopaedic Research Society. Psychologist, Stephanie Czech, PhD, joined the Lifespan Recovery Center at Rhode Island Hospital. Dr. Czech has experience with patients who have substance use disorders and common co-occurring issues such as PTSD, anxiety, depression, adjustment issues and chronic medical disease. She earned her graduate degree from Suffolk University in Boston and completed a fellowship at Brown University. Jonathan D. Drake, MD, was appointed associate director of the Alzheimer’s Disease and Memory Disorders Center at Rhode Island Hospital. Dr. Drake is a neurologist who specializes in aging and dementia, and his research interests focus on healthy brain aging and modifiable risk factors for dementia. He has identified novel biomarkers for preclinical dementia and is developing dementia-prevention strategies using lifestyle interventions such as diet, exercise, and mindfulness-based practices. He is a lecturer for neurology residency and for the clinical neuroscience curriculum at The Warren Alpert Medical School of Brown University. Dr. Drake earned his medical degree from the New York Medical College in Valhalla and completed his residency and fellowship at Rhode Island Hospital. Pamela C. Egan, MD, joined the Lifespan Cancer Institute as a hematologist at Rhode Island Hospital. Her interests include the treatment of acute leukemia, palliative care in hematologic malignancies, and physician advocacy education. Dr. Egan earned her medical degree from SUNY Upstate School of Medicine in Syracuse, New York, and completed her residency and fellowship at Rhode Island Hospital and The Warren Alpert Medical School of Brown University. She is a member of the American Society of Hematology and The American College of Physicians. Tarra Evans, MD, joined the Women’s Medicine Collaborative, where she specializes in gynecological oncology. Dr. Evans earned her medical degree from The Warren Alpert Medical School of Brown University. She completed her residency at Pennsylvania Hospital in Philadelphia and a fellowship at Brigham and Women’s Hospital in Boston. 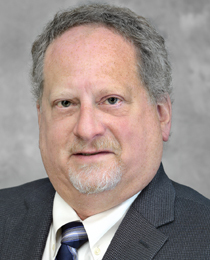 Douglas S. Foreman, DO, recently joined Lifespan Physician Group, Primary Care in Warwick. He has been a family medicine physician in Warwick since 1990. 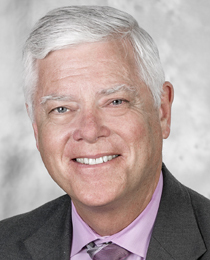 Dr. Foreman received his medical degree from the University of New England College of Osteopathic Medicine in Biddeford, Maine, and completed his residency at Lancaster Osteopathic Hospital in Lancaster, Pennsylvania. He is board certified by the American Osteopathic Board of Family Physicians. 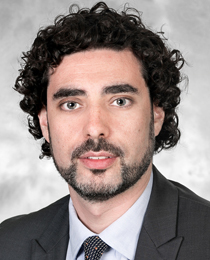 Alberto Gavilanes, MD, joined Lifespan Physician Group, Primary Care in Newport. He is a board-certified internal medicine physician and a fellowship-trained specialist in geriatrics. 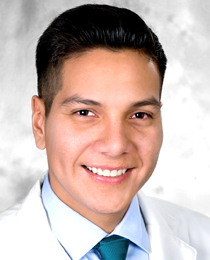 Dr. Gavilanes earned his medical degree from the Universidad Catolica de Santiago de Guayaquil, Ecuador, with additional training at Weil Cornell Medical College in New York and the University of Miami Miller School of Medicine. He completed his residency at the Seton Hall University School of Health and Medical Sciences and Trinitas Regional Medical Center in New Jersey, and a geriatric medicine fellowship at the Montefiore Medical Center in New York. 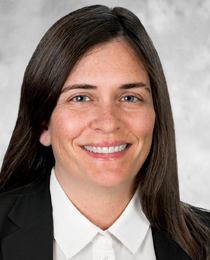 Amy Grooms, MD, joined Lifespan Physician Group, Psychiatry & Behavioral Health in Providence. Dr. Grooms earned her medical degree from the University of Arkansas College of Medicine in Little Rock, and she completed her residency and a fellowship at Butler Hospital in Providence. Halina Harding, DO, a board-certified family medicine physician, joined Lifespan Physician Group's Jamestown Family Practice. 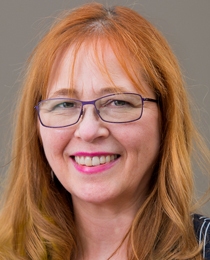 Dr. Harding earned her medical degree from the Michigan State University College of Osteopathic Medicine in East Lansing and completed a family practice residency at Oakland General Hospital and internship at Pontiac Osteopathic Hospital in Michigan. She is a member of the American Osteopathic Association and the American College of Osteopathic Family Physicians. 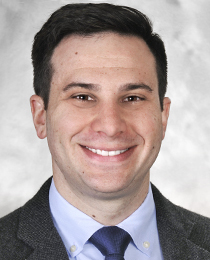 David G. Kerzer, DO, joined Lifespan Physician Group's primary care practice in Cranston. He specializes in family medicine and sports medicine. Dr. Kerzer is a member of the American Osteopathic Academy of Sports Medicine, the Rhode Island Society of Osteopathic Surgeons, and the American Osteopathic Association. He earned his medical degree from New York College of Osteopathic Medicine and completed his residency at Union Hospital in New Jersey. 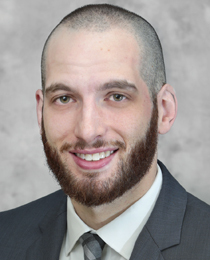 Jason Kerzer, DO, joined Lifespan Physician Group's primary care practice in Cranston. He specializes in family medicine. 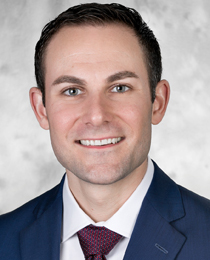 Dr. Kerzer earned his medical degree at Philadelphia College of Osteopathic Medicine and completed his internship and residency at Mercy Suburban Hospital in Norristown, Pennsylvania. He is a member of the American Osteopathic Association. Radiation oncologist, Paul P. Koffer, MD, joined the Lifespan Cancer Institute at Rhode Island Hospital. His research interests include stereotactic radiosurgery, and assessment and management of cancer pain. 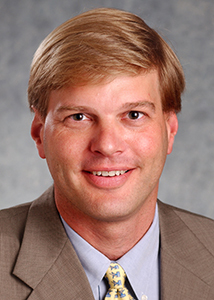 Dr. Koffer earned his undergraduate degree in biophysics from the University of Pennsylvania and his medical degree from Temple University School of Medicine, both in Philadelphia. He completed his residency in radiation oncology at Tufts Medical Center in Boston. Christine Leddy, MD, joined Newport Psychiatry, a Lifespan Physician Group practice. Dr. Leddy earned her medical degree from the University at Buffalo, Jacobs School of Medicine and Biomedical Sciences in Buffalo, New York, and completed her specialty training at Upstate University Hospital in Syracuse, New York, and Duke University Hospital in Durham, North Carolina. She is a member of the American Psychiatric Association. 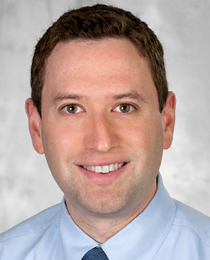 Neuropsychologist, Seth A. Margolis, PhD, joined Lifespan Physician Group, Psychiatry & Behavioral Health in Providence. Dr. Margolis specializes in disorders of aging and epilepsy, as well as in the impact of chronic illness on patients’ cognition and mental health. He is a consulting member of the Alzheimer’s Disease and Memory Disorders Center and Comprehensive Epilepsy Program at Rhode Island Hospital. His research focuses on psychosocial aspects of illness and disability, how cognitive impairment and psychiatric symptoms affect activities of daily living, and the ecological validity of cognitive testing. Dr. Margolis earned his doctoral degree from Ferkauf Graduate School of Psychology, Yeshiva University in New York and completed a fellowship at The Warren Alpert Medical School of Brown University. He is a member of the American Academy of Clinical Neuropsychology, International Neuropsychological Society, and National Academy of Neuropsychology. Psychologist, Elizabeth A. McLaughlin, PhD, joined the Lifespan Recovery Center at Rhode Island Hospital. 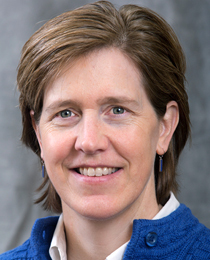 Dr. McLaughlin earned her graduate degree from the University of New Mexico in Albuquerque and completed her residency at the VA Connecticut Healthcare System. Her research interests include integrated health care, and eating and weight issues. Molly Meth, PhD, joined Lifespan Physician Group, Psychiatry & Behavioral Health and the adult partial hospitalization program at Rhode Island Hospital. Dr. Meth has extensive experience working with veterans. She earned her graduate degree from the University of Iowa in Iowa City and completed a fellowship at the Providence VA Medical Center. Natalie Noonan, PsyD joined the outpatient neuropsychology programs at Bradley and Rhode Island hospitals. Dr. Noonan completed her graduate work at the Georgia School of Professional Psychology in Atlanta and her postdoctoral training in the Department of Psychiatry and Human Behavior at The Warren Alpert Medical School of Brown University in the field of neuropsychology. 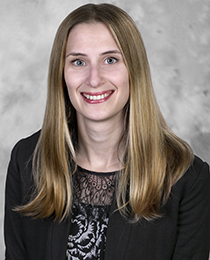 Rachel B. Ojserkis, PhD, joined Lifespan Physician Group, Psychiatry & Behavioral Health and the adult partial hospitalization program at Rhode Island Hospital. Dr. Ojserkis has clinical experience working with patients who have anxiety disorders, post-traumatic stress disorder and trauma, depression, and eating disorders. Her research interests include affective and mindfulness-based processes in anxiety and trauma-related disorders. She earned her doctoral degree from Fordham University in New York and completed a fellowship at Rhode Island Hospital. She is a member of the Association for Behavioral and Cognitive Therapies, the Anxiety and Depression Association of America, and the Association for Contextual Behavioral Science. Jeanne Oliva, MD, joined Lifespan Physician Group, Primary Care in Newport. She is a board-certified internal medicine physician with decades of experience in primary care. Daniella Palermo, MD, joined Lifespan Physician Group, Psychiatry & Behavioral Health in Providence. She is the curriculum assistant director for the General Psychiatry Residency Program at The Warren Alpert Medical School of Brown University. 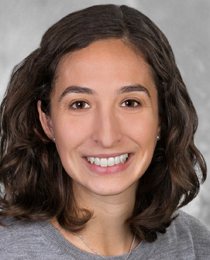 Dr. Palermo completed her adult psychiatry residency at the Alpert Medical School, where she was chief resident and the recipient of the Martin B. Keller Award for Outstanding Resident.. She is an appointed member of the Rhode Island Commission for Health Advocacy and Equity, which informs statewide policy to address health disparities. 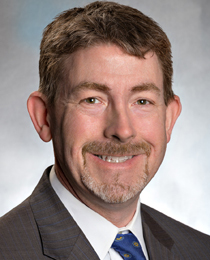 Matthew T. Salisbury, MD, joined Lifespan Physician Group's primary care practice in Cranston. He specializes in family medicine. Dr. Salisbury earned his medical degree from the University of Maryland School of Medicine in Baltimore and completed his residency with Brown University Family Practice, Memorial Hospital in Pawtucket. He is a diplomate of the American Academy of Family Practice. 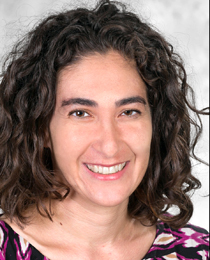 Dana Siperstein, MD, joined Lifespan Physician Group, Psychiatry & Behavioral Health in Providence. 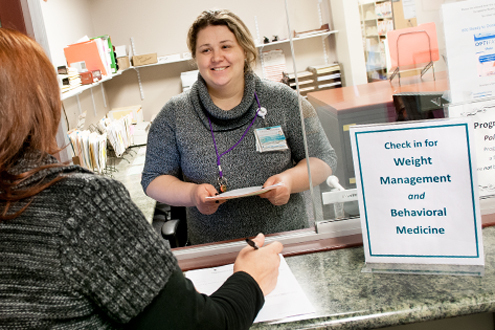 She specializes in young adult behavioral health. 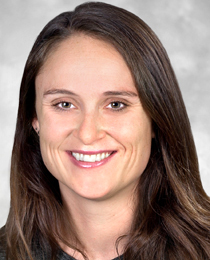 Dr. Siperstein earned her medical degree from George Washington University School of Medicine & Health Sciences in Washington, DC, and completed her residency at the Harvard Longwood Psychiatry Residency Program in Boston. Her clinical interests include college mental health, anxiety disorders, attentional difficulties, and bereavement. 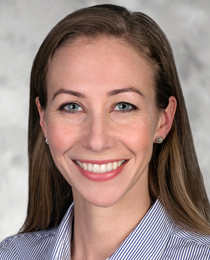 Physiatrist, Caroline Sizer, MD, joined Lifespan Physician Group, Physical Medicine & Rehabilitation and the Lifespan Concussion Care Center in Providence. 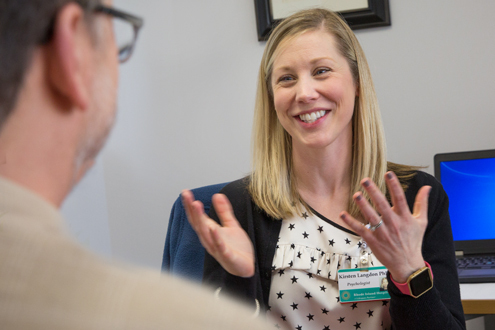 Dr. Sizer comes to Lifespan from Northeast Rehabilitation Hospital Network in Salem, New Hampshire, where she was inaugural medical director of the brain injury program. An expert in recovery from concussion, she earned her medical degree from the Rutgers Robert Wood Johnson Medical School in New Brunswick, New Jersey. She completed her residency at Georgetown University / MedStar National Rehabilitation Network in Washington, DC, and a polytrauma and brain injury fellowship at Hunter Holmes McGuire VA Medical Center in Richmond, Virginia. She is a member of the American Medical Association, the American Congress of Rehabilitation Medicine, the Association of Academic Physiatrists, and the American Academy of Physical Medicine and Rehabilitation. Michele J. Style, DO, recently joined Lifespan Physician Group, Obstetrics & Gynecology in Providence. Dr. Style is the co-founder of the Pride Clinic at Albert Einstein Medical Center, a multidisciplinary program for LGBTQ health. She earned her medical degree from the Rowan University School of Osteopathic Medicine in Stratford, New Jersey, and completed her residency at Albert Einstein Medical Center in Philadelphia. She is a member of the American Congress of Obstetricians and Gynecologists, the American Medical Association, and the American Osteopathic Association. 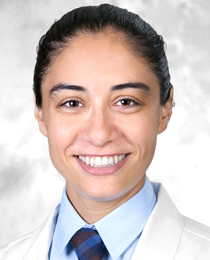 Cristina Toba, MD, joined Lifespan Physician Group, Psychiatry & Behavioral Health in Providence. Dr. Toba has particular experience in treating depression, anxiety, ADHD and other disorders. She earned her medical degree from Carol Davila University of Medicine in Romania and completed her residency and a fellowship at St. Luke’s Roosevelt Hospital in New York. She is a member of the American Psychiatric Association and the Rhode Island Psychiatric Society. Dr. Toba is fluent in French and Romanian. Cao Tach Tran, MD, PhD, joined the Lifespan Cardiovascular Institute. He is a cardiologist specializing in cardiac electrophysiology. 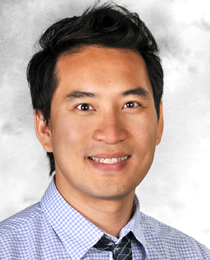 Dr. Tran’s interests include sudden cardiac death, potassium dynamics and mechanisms of arrhythmias with special focus on modulators of cardiac repolarization. He earned his medical and doctoral degrees at the University of Copenhagen and completed his residency at the North Shore University Hospital and Hofstra Northwell School of Medicine in Hempstead, New York. Dr. Tran completed his fellowship in general cardiology at the University of South Alabama College of Medicine in Mobile, and a fellowship in clinical cardiac electrophysiology at Johns Hopkins University School of Medicine in Baltimore. He is a member of the American Medical Association, Danish Medical Association, and Danish Society of Cardiology. 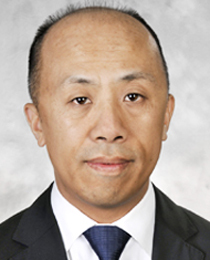 Michael Wu, MD, joined the Lifespan Cardiovascular Institute. He is a cardiologist specializing in cardiac electrophysiology. Dr. Wu completed his residency in internal medicine and a fellowship in cardiology at North Shore University Hospital and Hofstra Northwell School of Medicine in Hempstead, New York. He completed a clinical cardiac electrophysiology fellowship at New York Presbyterian Hospital and Weill Cornell Medical College in New York. He is a member of the American College of Cardiology and the Heart Rhythm Society. A five-year, $11.8 million federal grant from the National Institute of General Medical Sciences will establish a Center of Biomedical Research Excellence (COBRE) for Opioids and Overdose. The COBRE will work in partnership with Brown University and Women & Infants Hospital to develop and support investigators specializing in opioid use disorder. The center will be led by principal investigator Josiah Rich, MD, MPH, and Traci Green, PhD, MSc, who are recognized national experts in the epidemiology of opioid and other substance use disorders. Both are expert advisors to the governor’s Overdose Prevention and Intervention Task Force and were recently featured on WPRI 12 Eyewitness News. A five-year, $9.4 million grant from the National Institutes of Health will establish a Center for Biomedical Research Excellence (COBRE) to enable researchers at The Miriam Hospital, Rhode Island Hospital, and Brown University to investigate causes of antibiotic resistance and identify potential new drugs. The new Center for Antimicrobial Resistance and Therapeutic Discovery will build on existing research at The Miriam and Lifespan to create a state-of-the-art research center that can serve as a resource for other researchers and investigators in the region. Corresponding author of the study Qian Chen, PhD, also of Rhode Island Hospital and the Alpert Medical School, says the OA stem cell lines will be useful for screening drugs to treat OA. The study is supported by two major research grants. Other authors of the study are Richard Terek, MD; Michael G. Ehrlich, MD; and Nicholas Lemme, BS, of Rhode Island Hospital and Brown University; and Nan Hu, PhD, and Jing Li, PhD, of Xi’an Jiaotong University in Xi’an, China. A new study explores whether there are epigenetic changes present in patients who develop kidney stones. Entitled “Preliminary Analysis of Urinary Extracellular Vesicles in Stone Formers Reveals Potential Target Proteins in the Formation of Nephrolithiasis,” the research is generously supported by a grant from The Miriam Hospital Foundation and is led by Gyan Pareek, MD, FACS, co-director of the Minimally Invasive Urology Institute and director of the Kidney Stone Center at The Miriam Hospital. The mechanisms involved in kidney stone formation are unknown. The study will examine urinary extracellular vesicles (EVs) in patients who form calcium-based stones to assess differences in protein expression between these patients and healthy individuals. The research seeks to develop a detailed profile of cellular injury or markers and signaling pathway activation that could elucidate potential mechanisms involved in kidney stone formation. The hope is that specific proteins will be identified for further research into their exact pathophysiology in kidney stone formation. Lifespan research is an important component of the national efforts to prevent and lessen the effects of memory disorder diseases such as dementia. The Alzheimer’s Disease and Memory Disorders Center at Rhode Island Hospital is participating in a new study. Intended for subjects with symptoms of memory impairment, the study drug is an experimental antibody treatment that targets beta amyloid proteins. For some patients, this will be administered along with a drug that inhibits BACE, an enzyme in the brain involved in the production of amyloid. Sponsored by Eli Lilly, the purpose of the study is to evaluate the safety, tolerability, and efficacy of LY3002813 alone and in combination with LY3202626 (a potent small-molecule inhibitor of BACE1) in early symptomatic Alzheimer’s disease. LY3002813 is an antibody used as an investigational immunotherapy for Alzheimer’s disease being developed by Eli Lilly. Be 60 to 85 years old. Have experienced gradual and progressive change in memory function reported by patients or informants for six months or more. Have a study partner who can go to some study visits to answer questions about the study participant’s symptoms. To refer a patient to the study, please call 1-844-563-6679, or email memory@lifespan.org.